TwtRoulette was an online app that turned you into a so-called Twitter spy, letting you peruse someone's own timeline feed exactly how they saw it themselves. So, if you wanted to see what tweets Ashton Kutcher was seeing in his home timeline from the 700+ people he follows, you could. It was so popular a couple years ago that Twitter eventually added the feature themselves, though it's since been removed for some reason. Want to become a Twitter spy again? Thanks to ShadowMe, you can once again see exactly what your favorite celebrity, team, or friend was watching on their own Twitter home timeline. With Shadow App for iOS, you can now "shadow" any Twitter user. 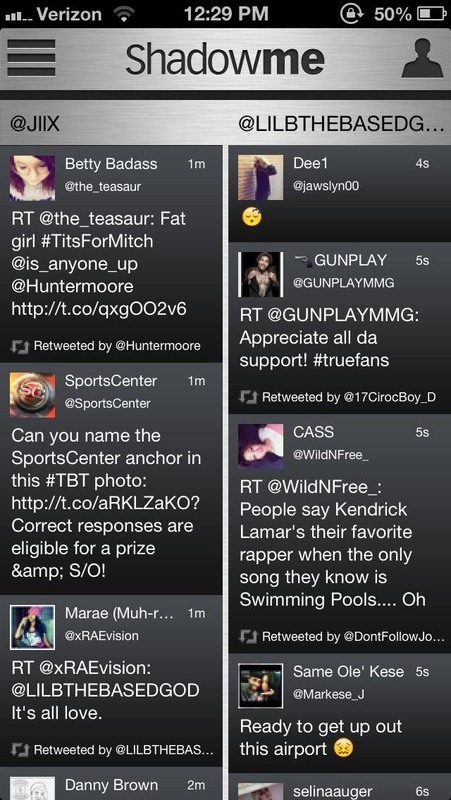 The application recreates the exact feed that the Twitter user currently has, just like TwtRoulette once did. 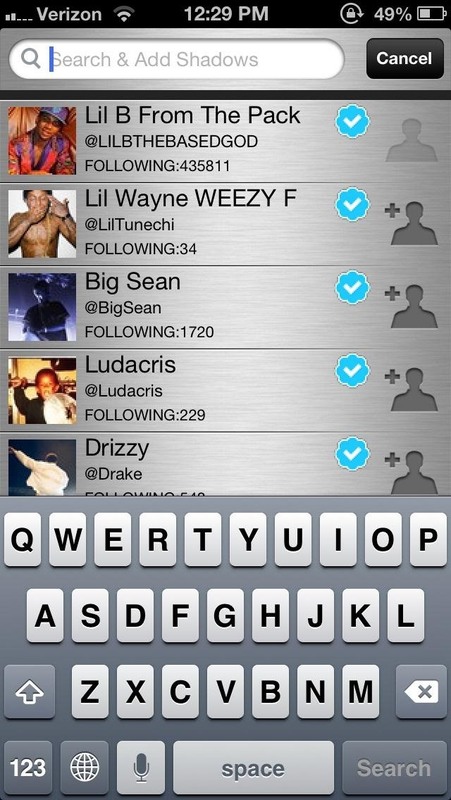 With this app, you can stay updated on what your favorite celebrities are being updated on. To choose who to shadow, first download ShadowMe from the iTunes App Store for free. Next, you'll have to click on the upper left-hand tab and search for who ever you want to shadow. You can only shadow one person at at time, which shows up at the home page of the application directly next to your feed. Note: You will not be able to see the home timeline of Tweeters who are listed as private. What do you think about ShadowMe for Twitter? Do you like seeing through the eyes of others? If this Twitter action wasn't enough for your satisfaction, you can also check how many of your followers are fake, trick friends into thinking you're somewhere else and make your friends think you have a verified account. I love it! Twitter is an open platform. No one is on Twitter that doesn't want to be heard by the world, right? It isn't exclusive or private like Facebook. But this app allows someone to sit back and just listen if they want...and then decide if they want to get involved. Like training wheels.